Continuing on in our My Money, My Choices journey - we come to overdraft. I've thankfully never lived in it, but have in the past dipped into a few times by accident. The cashflow exercise we went through a month or so ago really helped getting this straight so that we weren't having bills automatically debit from the account before pay day. The great thing though, about banking with Tangerine is their Whoops! Protection...which is their version of overdraft protection. Everyone, automatically gets 30-day protection to a maximum of $250 - FREE for 30 days. So, if your account is accidentally withdrawn because of a miscalculation on the dates, you won't be charged for it or suffer a NSF fee. Now, it is only free to a point. You'll be charged $2.50 if it takes you longer to pay it back after the 30 days, and every 30 days after that if you fail to get your account balance back into the black. Gail suggests that the easiest way to ensure you never dip into overdraft is by creating your own OD protection - something that Jordan and I have done for a long time. Our's is about $1,000 - there's never less than that in the account. Activity 3 is one I can really sink my teeth into, in this one, we have to check our credit history reports. Activity 4 is to correct any errors. I requested them for both Jordan and I on April 14th from both Equifax and Transunion and the Equifax ones arrived last week. Managing your credit is your responsibility, and checking in on the two bureaus is part of that job to make sure that everything is right....waiting until you need credit, until your buying a home, refinancing, getting a credit card - whatever - is NOT the time to do this...because repairing mistakes can take time to fix. I'm very pleased to share that everything is in good order! The Kia and the Amex show up on Jordan's report and the Escape, LOC, Joint C/C, Cell Phones and my Visa show up on my report. The mortgage however; is missing. I called them, and apparently they only report to TransUnion - so we'll wait another week or so until that report shows up and check. They do have some wrong contact information for us, and they haven't updated Jordan's job - so we'll get that sorted out and check this off as complete. Level 4 is all about credit...which is a tool and important to learn how to use well. When credit, turns to debt it becomes a tool that weighs us down and prevents us from achieving financial independence. Activity 1 is to get a credit card...well that's an easy one to check of as complete. I have a personal VISA in my name only that I use when travelling for work to keep those expenses separate and Jordan and I have a joint AMEX (with him as primary) and a joint Mastercard (with me as primary). It's really important for our own credit identities to ensure that each of us is the primary on at least one; that way when the credit card companies report to the credit reporting agencies - we're both building a good credit history. Activity 2 is to consistently use credit - I'm comfortable tracking that activity as complete as well because we use our cards and pay them off consistently. Not Starbucks lattes, or frappes or whatever - just awesome coffee. So what's this picture all about? Why am I camping in my kitchen? Because my awesome Bunn Coffee maker died a week ago...DIED! Okay, just the heating element crapped out. But guess what - it had a three year warranty and was only 2.5 years old. So we shipped it away, and the new one should be here early next week. 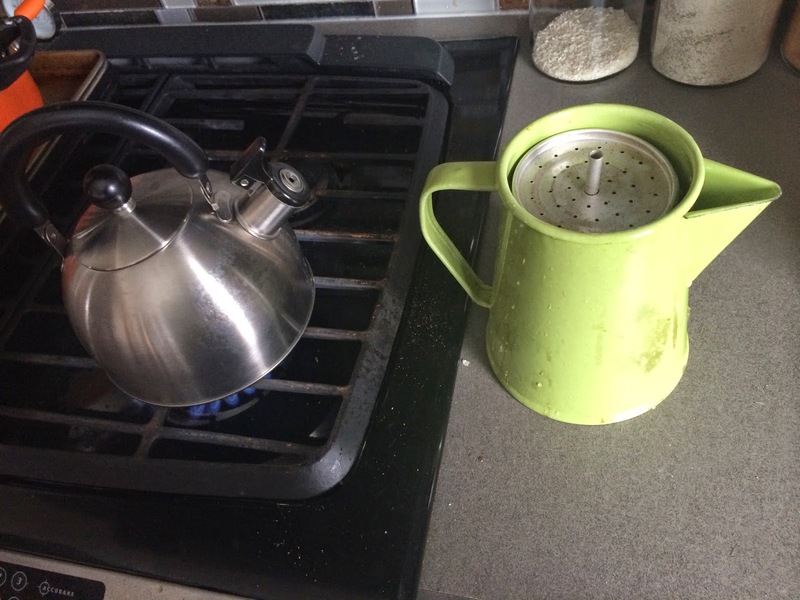 But in the meantime my frugal friends, I am making drip coffee using some of my camping gear rather than buying coffee at Tim Horton's every morning. I don't generally shop for the enjoyment of it - especially clothes shopping...but it was getting a bit desperate in my closet, so I asked Jordan (who's much better at it than I am) to come with me. I had some money from last Christmas and other personal savings for the trip. I spent a grant total of $519.78...before coupons and discounts the original price tag would have been $265.27 higher. Not bad for a Saturday afternoon! After writing about my pension asset mix a month or so ago, I felt like I hadn't really finished the exercise so I went to the front page of the internet and found a sub-reddit for personalfinancecanada and there I asked about pensions and asset allocation - and what I got, was a big lesson that I wanted to share with you. First, if you haven't seen it before - I would really encourage you to check out the Canadian Couch Potato Blog. It's written by Dan, and Dan's got a lot of credibility on the topic of investing in Canada. no, this is not a sponsored post, I'm just excited about it. On his site, and through some help on reddit - I learned a bit about index funds and some recommended approaches for setting an investment mix. One of the approaches, which appealed to me had a balance of bond and index funds - for the medium risk appetite. In a spreadsheet, pool all of the values of your various accounts and parcel the total out into buckets representing the percentages from #1 to the various asset classes. Distribute the individual asset class values across the accounts based on tax efficiency. You match asset classes and accounts. A spreadsheet is really helpful for this. So, I did just that...and here's what my current state of affairs looks like including all investments. I wanted to put this back out to you before I actually made the changes. What do you think? Am i missing something? Do you think the advise to go with the Canadian Couch Potato Asset Allocation (40-20-20-20) is a good one, or do I still have too much in bonds? Just a quick update on where the debt stands. All three credit cards have a $0 dollar balance, the Kia isn't tracked here because it's at 0% interest and the mortgage is...the mortgage. As of Friday last week, the balance on the Escape and LOC was $34,900. I've been continuing to add debt snowflakes to both accounts, but primarily to the Escape - because once it's paid, we can't add more to the pile (unlike the LOC), and it's interest rate is 1.5% higher than the LOC. I've also included a bit of a breakdown of where the debt will stand at the end of the year with our regular payments. My dream would be to have the balance at $0 but there's just no way we're going to find the money....My hope however, is that we're under $20K combined. Once the balance is down another 5K, I'll pay off the Escape with the LOC, and we'll put the entire payment on to the single debt and then continue to decrease the available credit we have on the LOC until it's down to maybe $15K available. I hate to do it, but I've had to turn word verification back on for comments, and moderation back on for any posts that are older than one day - I've had a TONNE of spam comments lately and it's getting a bit ridiculous. The first and second activity in My Money, My Choices Level 4 is to establish and maintain credit. I believe that what Gail says is true at some point in every adults life, you will need to borrow money. 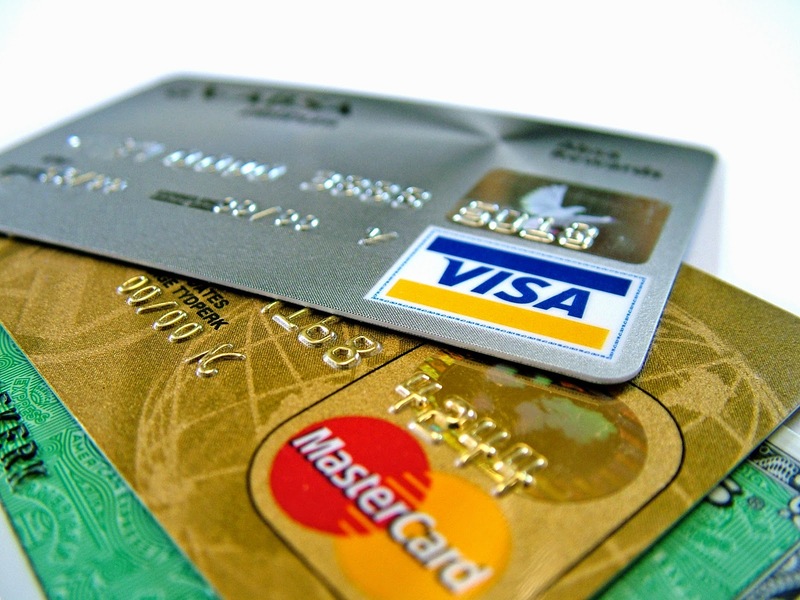 Even to rent a car, or a hotel room, you need to have a credit card. I got my first credit card at 18 years old - my first year of college. It at a $500 credit limit, and I still have it to this day; though the credit limit has changed to around $5K. This card is now rarely used - but I keep it for any work expenses that I incur that are reimbursable. 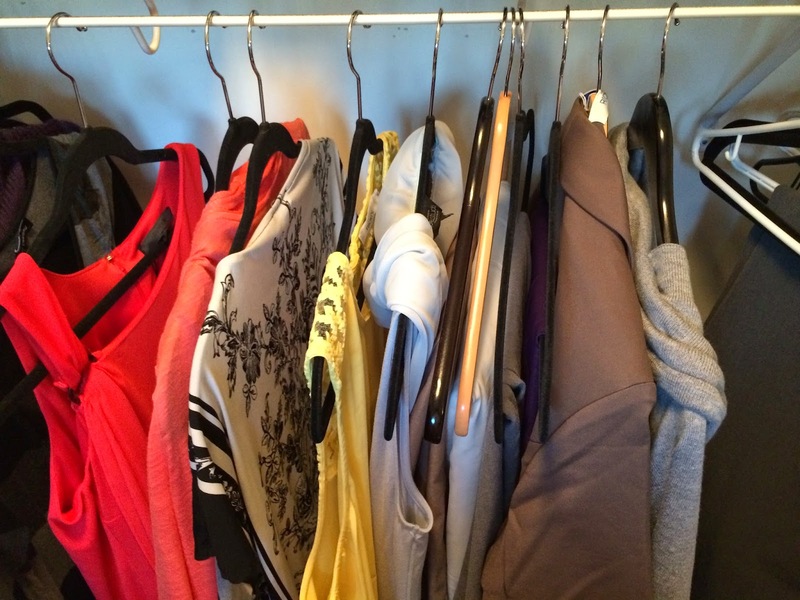 It's the easiest way to keep things completely separate when I travel. Jordan didn't get a credit card until just a few years ago when we realized is credit rating was in pretty bad shape. He didn't get a card as soon as he was legally able, and had a few dings from some early-adult rental arrangements that went sour. It took a few years, but we got him a secure card, and he used it diligently for a year before he transitioned to a regular Visa. He actually wound up cancelling it, because he found that he didn't use credit that was only in his name well - and didn't want the risk. In addition to my personal Visa we now have two joint cards - an Amex where Jordan is the primary and a MasterCard where I am the primary. The intent here was to build our credit score/history. Activity three of Level 4 is to request your credit history reports to see if the bureaus are tracking all of your good behaviour, and you haven't been the victim of either identify theft or just clerical errors. We did that a few weeks back, so they should be arriving in the mail any day now. Here it is, our networth as of May 1, 2014. I really enjoy doing these posts, because it reminds me that even when it feels slow - like we're not making progress - I can see visually that we are. This month alone, we spent double than we had any other month so far this year, and still, our networth went up by over $2,600. Even though we're spending, we're still saving like mad - we're taking care of today, and tomorrow at the same time. April was the first month were we committed to tracking our spending on a weekly basis, but because I'm just tracking our day-to-day spending (the $600/two weeks) - I still want to do a monthly reconciliation to catch anything that hit a credit card, or that was planned spending like vacation, education, gifts etct. Looking at the details - a lot went to Gas - that was some vacation expenses that were planned for. Our groceries was about the same, and eating out was the lowest it's been this year!! Yay! Progress! Alcohol was stead at $150, which I'm good with. Pets, Medical, Vehicle Maintenance and Education all hit us hard, but were all reasonably planned for an expected. The medical is the first of many expenses for Jordan's second dental implant. We won't see a reimbursement for this for well into July/August most likely - but most of it should be (we did a pre-determination but you never know with benefits). The dogs were there annual vet check, vaccinations, and a date at doggy day-care to get groomed. And the vehicle maintenance is frustrating. We've had a tonne of crap happen with the Escape from a flat tire & repair, summer-winter tire rotation, a rear wiper malfunction and getting the hitch wiring re-installed because the first job done by u-Haul was crap. My work already gave me the funds for the education, but I've got to pay it. There's just one more course in June and then I'm done my certificate program. The reimbursables have been reimbursed and were from a couple of work trips Jordan had. 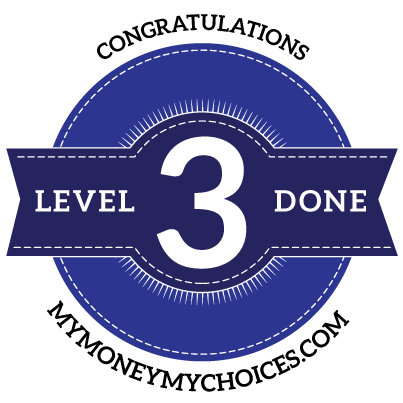 MMMC - Level 3 Done! Jordan and I don't have children so we can skip these activities - they are setting up and automating RESPs. You can bet your bottom though, that once we do, it will be the first thing we do for our kids once we have them. With these last two activities skipped, we graduate Level 3! Do you have a TSFA? From the blog posts, and articles that you still see regularly around the merits of TSFA's versus RRSP - it's no wonder people are still confused about what they are for, and if they should have one. Level 3 activity 9 and 10 are to open a TSFA and automate contributions to it. It's the easiest (only?) way in Canada to save money (up to $5,000/year) and not pay taxes on the gains earned on the money. For a lot of people who are lower income, it makes sense to save for retirement this way; Jordan and however need to use RRSPs for retirement to capitalize on deferring the taxes payable until we're in lower tax brackets in retirement. We use my TSFA to save for eventually a baby. We currently have $3,300ish and the goal is $10,000 to help offset maternity/parental leave no income. We save $100 every month to the fund, to grow it slowly but surely. I see this account as I see our retirement accounts - it cannot be touched unless it's for the very specific reasons we've laid out (I'm so much more flexible with our Emergency/Curveball accounts which is perhaps why we've never achieved a particularly high goal for the Efund). What do you use your TSFA for? Here is our weekly spend report - courtesy of a screen shot I took of my Spending Wallet App. So far, we've spent a tonne on gas! Some of this should actually be vacation expense, so I need to re-categorize that. The first weekend that we set up for camping is always a lot. We drove two vehicles, three hours on Friday to my moms. Saturday we hooked up to the utility trailor with the Escape and another three hours to pick up the camping trailor (RV) which was hooked up to the second vehicle, the pickup. Another 1.5 hours down to the campground! Then the 4 hour direct trip back home, back down to just the one vehicle. We ate Chinese food the night we got home - were just too tired to get to the grocery store. A curveball account...now this is something that Jordan and I have never had...though perhaps it is and we've just been calling it our Emergency Fund. Gail believes that everyone should have a curveball account to help deal with those unexpected expenses that you don't wan to throw your budget off track....maybe this is where those vaccination vet bills should have been paid for instead of from the emergency fund. This is an account that doesn't need regular contributions, but does need a place to start. It can be $200-$1,000 or more. Activity 7 is to create the account and Activity 8 is to fill it. 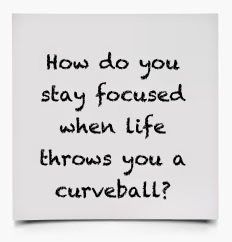 Do you guys have a curveball account? Do you think it's necessary...or do you budget so well that you don't need it? I feel like as long as Jordan and I are continuing to save towards our emergency fund - it doesn't really need to be a separate account...another thing to manage...but it probably couldn't hurt to try. I moved $500 from our emergency fund, into the curveball account to hopefully curb the use of our Efund for...curves.